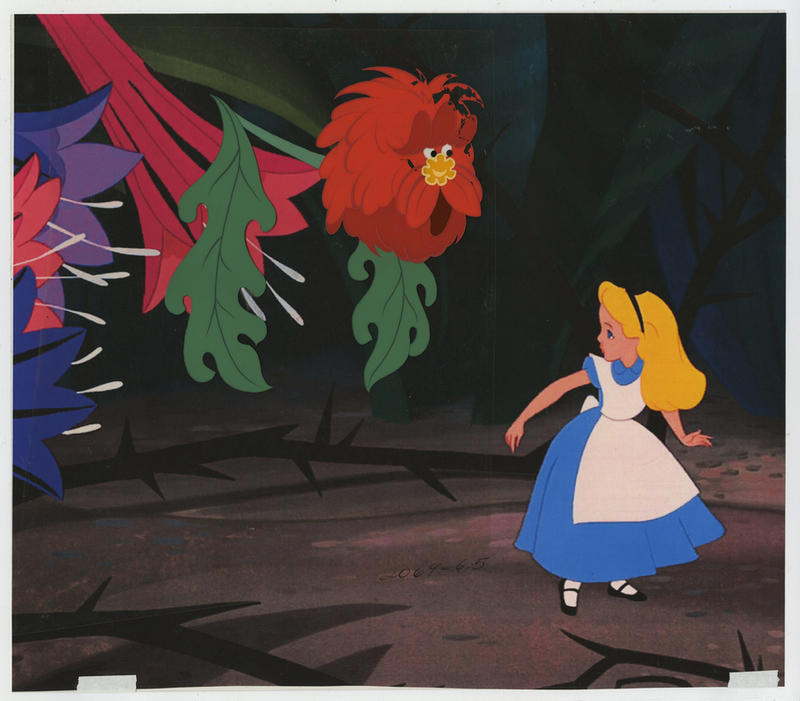 This is an original production cel from the Walt Disney Studios production of Alice in Wonderland (1951). 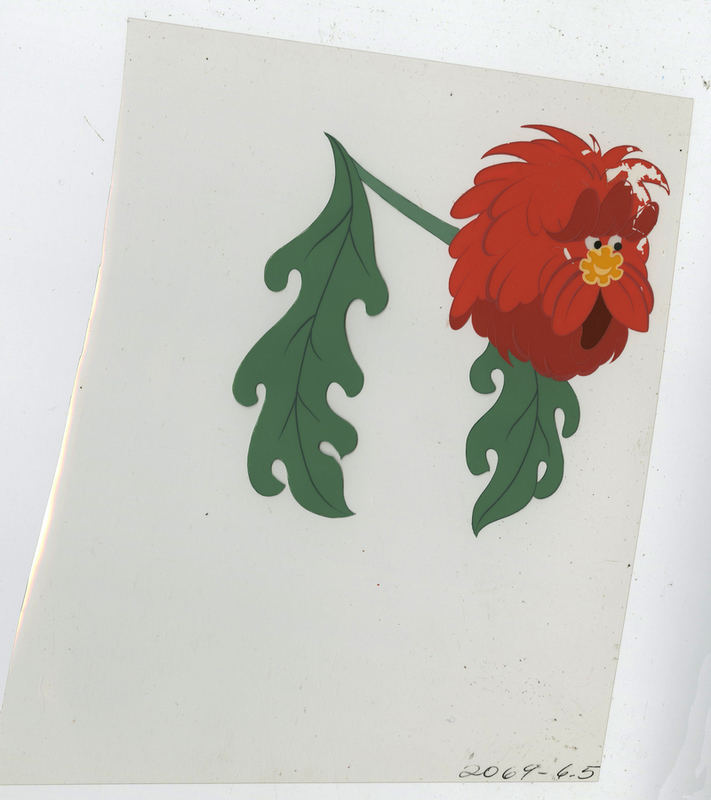 This cel features the red Dandelion, and was created at the studio and used during the production of the film. 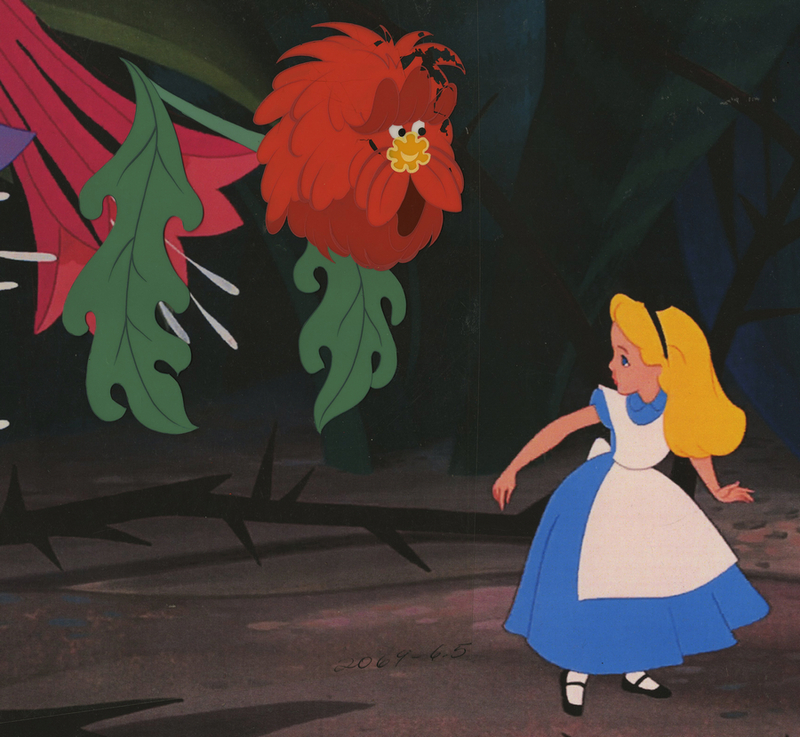 We've paired this cel is a color copy background from the same scene that the cel was used to produce, the Dandelion is the only part of the image that is hand-painted on the production cel. The overall measurements of the piece are 8.5" x 6.75" and the image itself measures 5" x 5". The cel is slightly trimmed and there is some paint loss and wear as seen in the images.